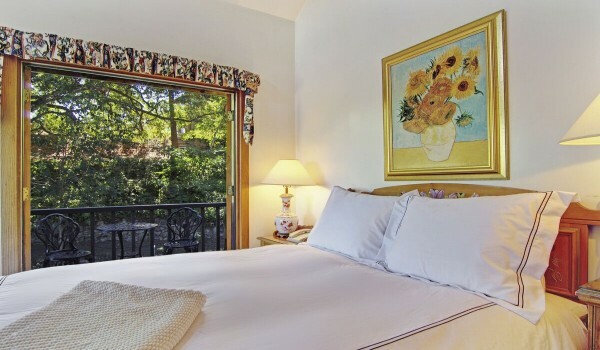 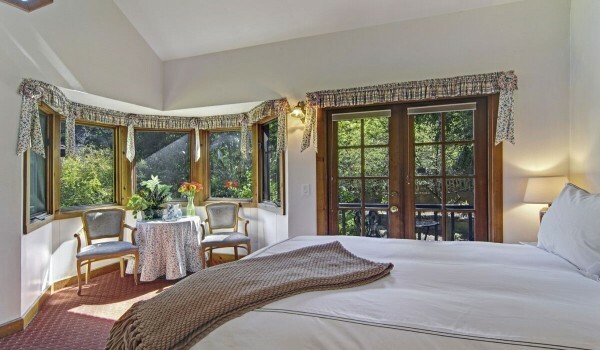 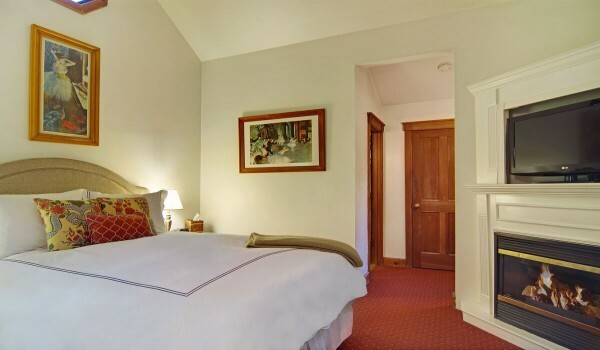 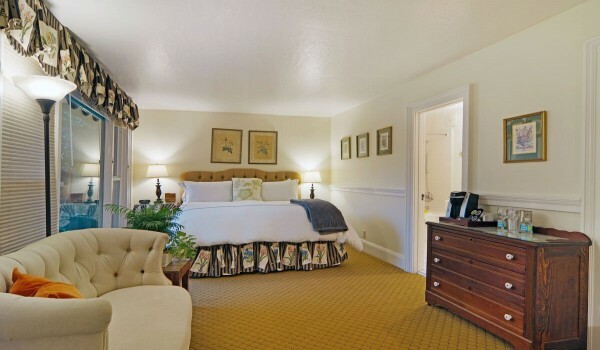 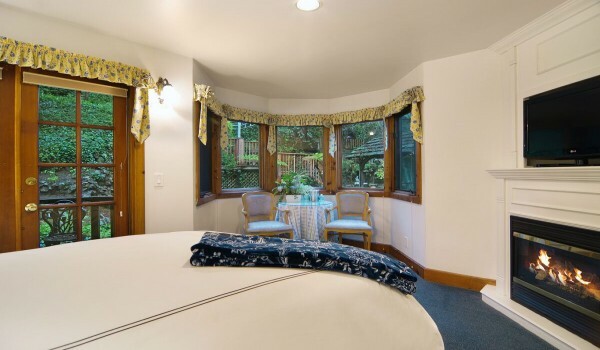 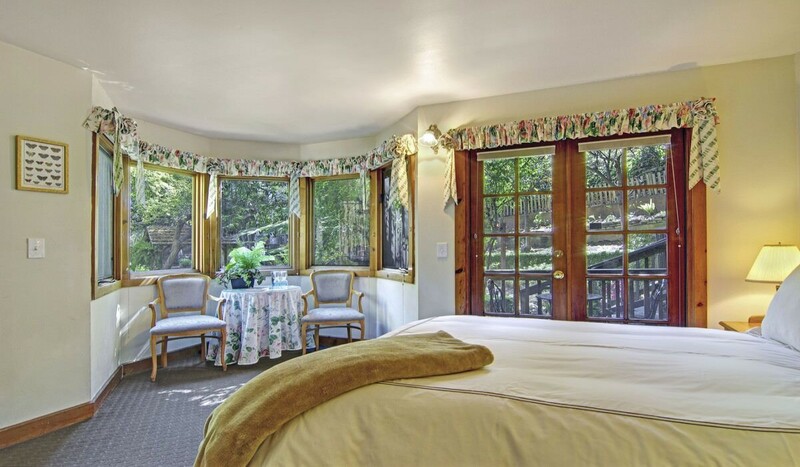 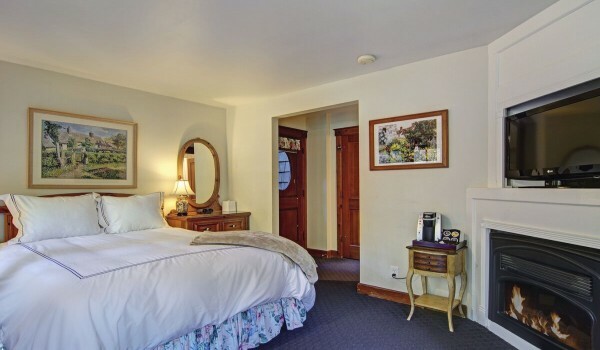 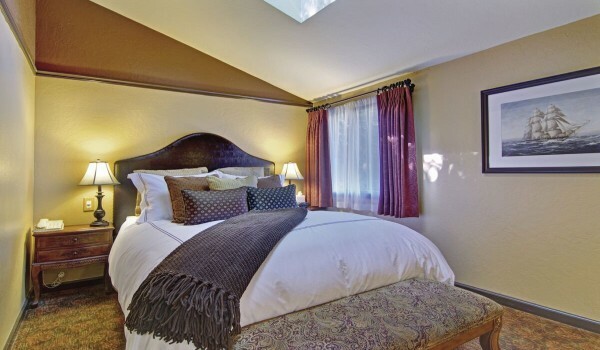 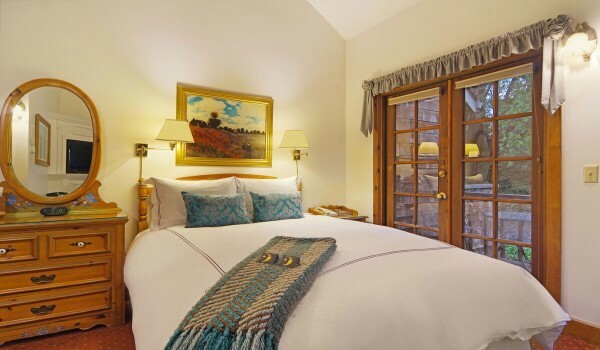 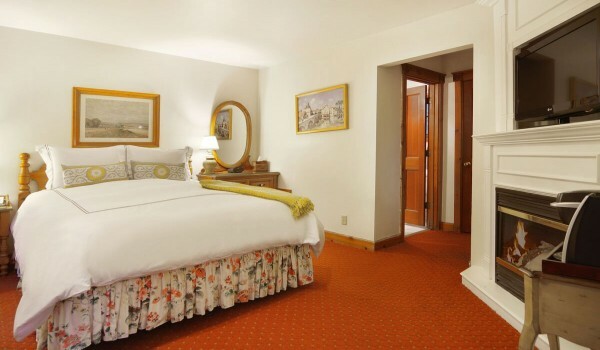 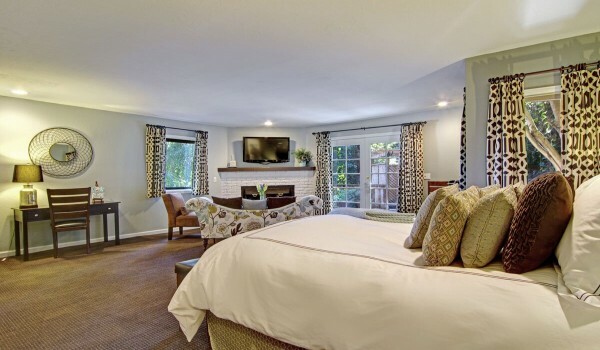 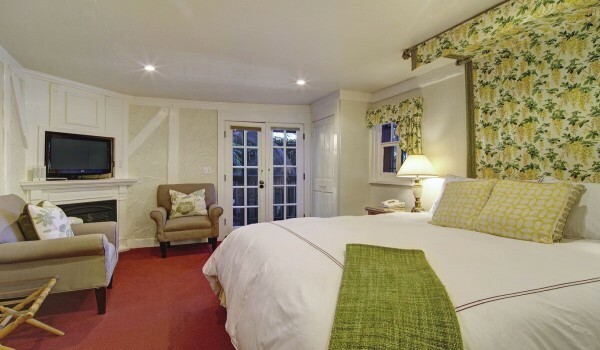 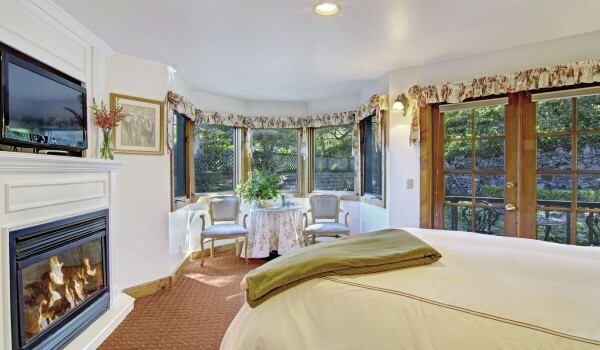 Pissarro is a charming downstairs room nestled in the heart of the Babbling Brook Inn. 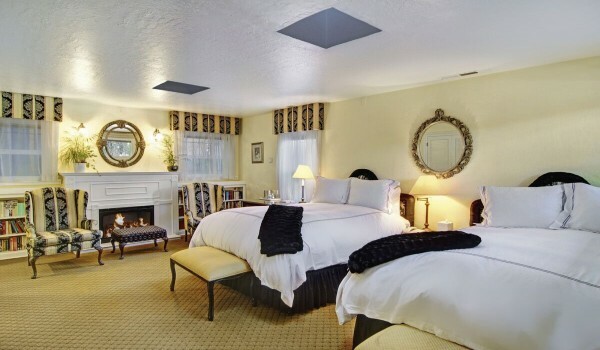 Pissarro features a queen sized feather bed, a corner electric fireplace. 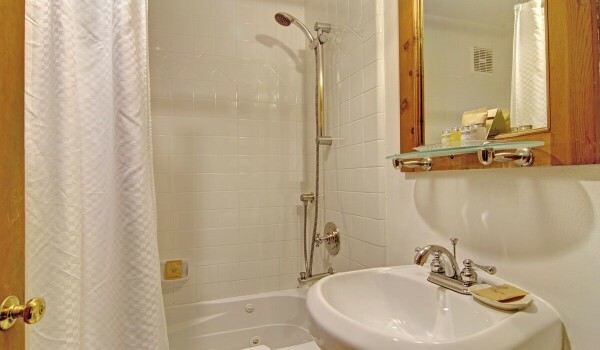 The walls are accented with the works of Pissarro, and the private bathroom is equipped with a one-person tub and shower combination. Cozy up to a roaring fire or enjoy the lush garden setting on the private deck overlooking the brook and garden gazebo.